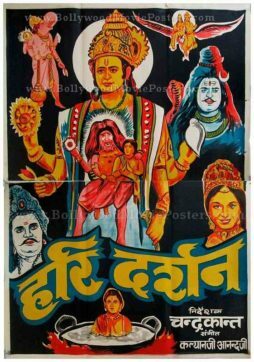 Hand drawn old Indian mythology poster of the Bollywood film, Tulsi Vivah (1971) for sale. 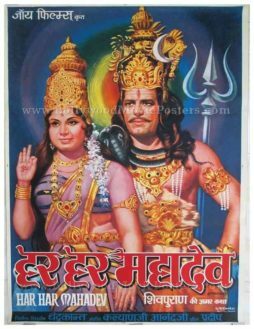 This is an actual surviving vintage publicity poster of the 1971 film that featured Jayshree Gadkar and Anita Guha in lead roles. 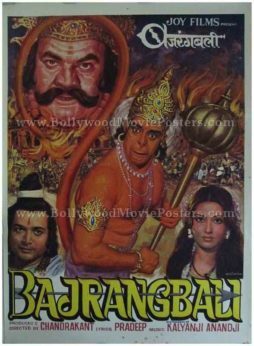 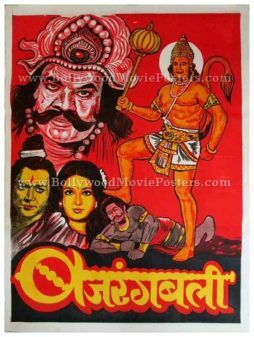 Printed and circulated several years after the first release of the film (somewhere in the 1980s), this Hindu mythology poster was printed for publicity of the film but never ended up being used. 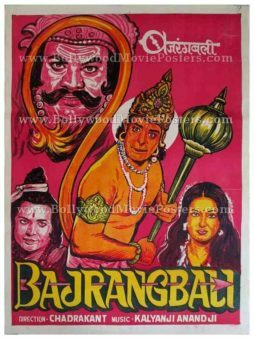 This poster was originally designed by a small time art studio in hand painted (oil on canvas) format, making it highly collectible. 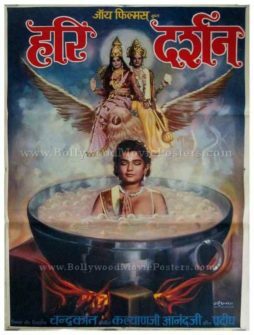 Tulsi Vivah is a 1971 mythological Bollywood movie starring Jayshree Gadkar and Anita Guha.